If you’re headed to the Val d’Orcia and to Pienza in particular, we highly recommend you visit the beautiful Palazzo Piccolomini in Pienza‘s central piazza. Home to the Piccolomini family and to Pope Pius II, the palazzo conserves the history of the noble family that shaped the town of Pienza into what it is today. 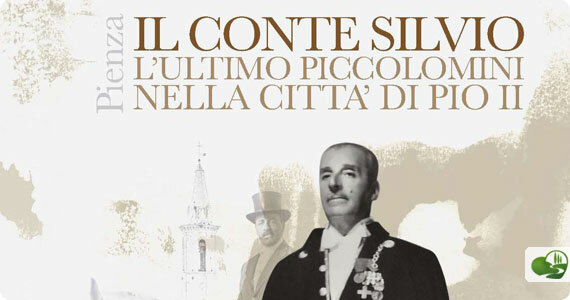 Aside from the palace and its permanent exposition, a temporary exhibit “Count Silvio, the Last Piccolomini in the City of Pius II” is going on right now on the last of the Piccolomini family, Count Silvio, who left the palazzo and all of its contents to the Società di Pie Disposizioni upon his death 50 years ago. 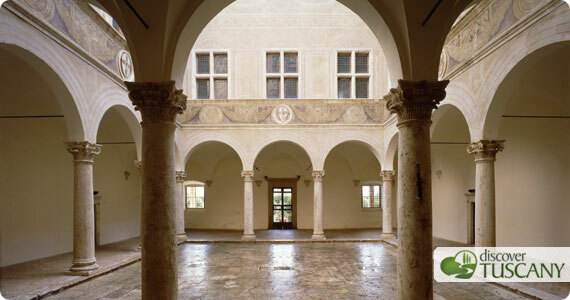 In remembrance of his life, the show displays documents from the private archive, family photographs, and personal mementos conserved within the palazzo to expose the life and personality of the Count and his ties with Pienza and the local area. The show marks the perfect occasion to open the Count’s private studio for the first time after its restoration and which will now be part of the itinerary visitors follow through the Palazzo. The studio was his private refuge the last years of his life after the tragic loss of his young son Niccolò and today can be seen with the same furnishings and objects he treasured within. The show also includes 2 important paintings which were stolen in 1972 and recovered by the Carabinieri in 2010, a Madonna with Child from the 15th century and a Flemish painting called “Cleopatra’s Suicide”. Admission includes guided tour with audioguide of the Palazzo Piccolomini and the garden. The Giro di’Italia is coming to Tuscany and Florence!